This baked salmon recipe is another one of my go-to quick and easy dinner recipes. Our family eats a lot of salmon, and we love to switch things up all of the time. Lemon, garlic and Dijon mustard make a tasty marinade for these baked salmon fillets. The best part of this recipe is that there is very little preparation time, leaving more time to spend with family and friends and less time in the kitchen. 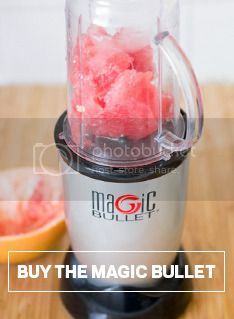 Add all ingredients except for the salmon to a Magic Bullet cup and blend. Place salmon fillets skin side down onto a baking sheet and brush the marinade on the top. Bake for 15 minutes, until salmon flakes down easily with a fork.